You are buying the Mabis DMI Lightweight Extra-Wide Heavy-Duty Aluminum Rollator Burgundy which is manufactured by Mabis DMI. 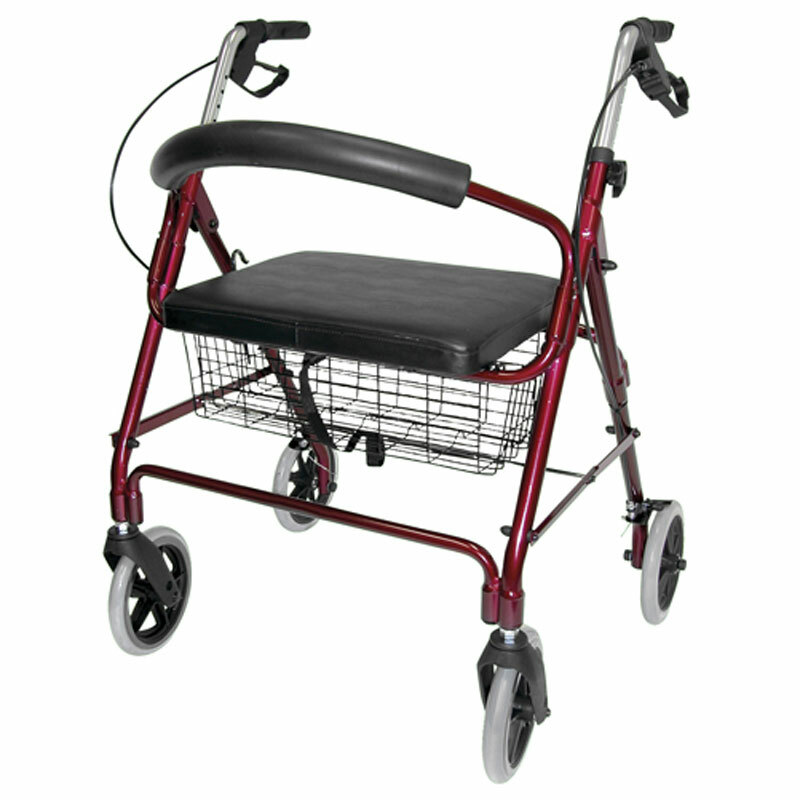 Mabis is a leading manufacturer of Rollators. At ADW Diabetes, we offer the complete product line by Mabis with great savings and excellent service. Wire basket size: 20" x 8-3/4" x 5-3/4"
Seat size: 18" x 13-3/4"; Seat height: 23-3/4"